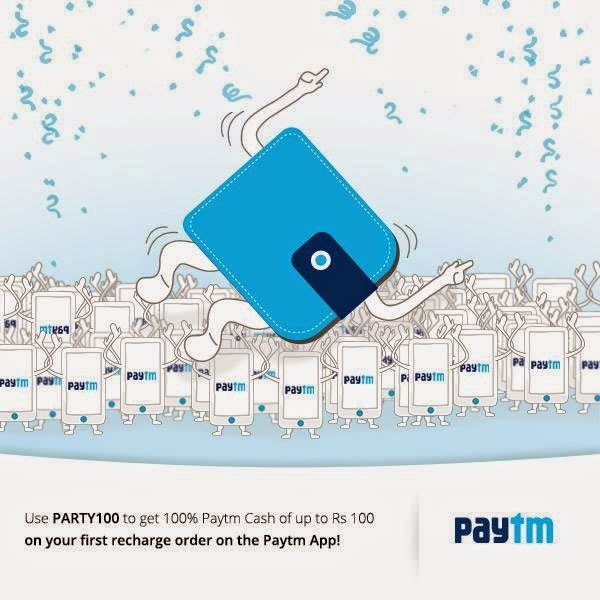 Paytm is back with another Coupon Code or a Loot Cashback Offer. This time Rs. 100 Cashback. But Only for New Users Guys. So loot if you have new Paytm Accounts. This is a Recharge Offer Not Wallet Offer. On the 1st Recharge you'll get 100% Cashback upto Rs. 100. Voila, It's Applied.... you'll get Rs. 100 Cashback within 24 Hours. If you like my work.... Don't forget to Like my Facebook Page. You can also Subscribe my Blog to get daily Offer Deatils.